Human comfort is at the centre of café furniture selection because that is what determines the fate of business largely. Indeed, the main product of coffee, snacks and food must be of top quality, but unless the ambience is attractive and can entice people to spend some comfortable time at the café, the footfalls would never be up to the mark. 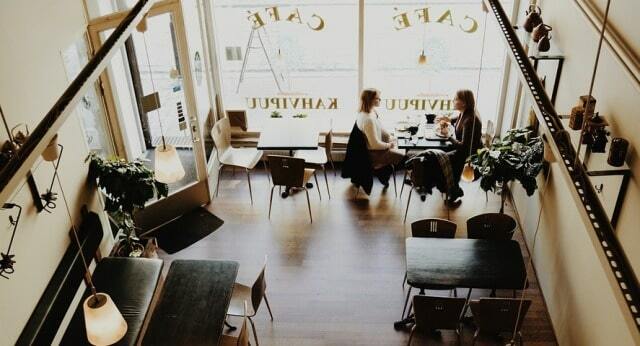 In this respect, the furniture layout and its type play a critical role to make or break café business. Firstly, you must ensure that the design of furniture that you intend to buy from Cafe Solutions in Melbourne matches perfectly with the concept and theme of the café. Generally, people like to spend long hours in cafes in a casual but homely environment, and the selection of furniture must support their needs. Secondly, you must create the ideal furniture layout that creates a spacious café. You cannot afford to create a café layout that seems much too crammed. People come to cafes for relaxing and enjoying their coffee, and a crowded sitting arrangement is what they dislike most. You must leave ample room around every table to maintain proper circulation and movement of customers as well as the café staff. Customers should be able to find their way inside the café and to their respective tables easily without disturbing others. The staff too must find it easy to access the tables when serving without causing any discomfort to customers. It should never happen that space congestion results in waiters bumping against one another or dropping food on customers’ tables. Every café has a front end and back end with the café staff using the back end for preparing food and making it ready to serve while customers remain concentrated at the front end. To ease the operations of the staff and help them serve customers better, the furniture layout must ensure that there is smooth connectivity between the front end and back end. The waiters should be able to move smoothly to and from these areas to provide better service that satisfies customers. In some cafe that has self-service arrangements, the need for proper passages to connect the front end and back end is even more because customers would move around a lot and should never feel stressed out. While customer comfort rules supreme, you cannot ignore the aspect of making the best use of the space to ensure optimal accommodation that ensures good business. It means that you must strike the right balance between comfort and business and this is very important to sustain the business and make it grow. The idea is to arrange all furniture including tables and chairs in a way that helps to make the best use of the available space while delighting customers and keeping café owners happy. The real trick is in optimising the layout in a way so that every table becomes a good table that customers are happy about. I hope you enjoyed this blog post about why furniture layouts in cafes have a huge impact on restaurant business prospects and sales. Interested in more articles about restaurant management and marketing?